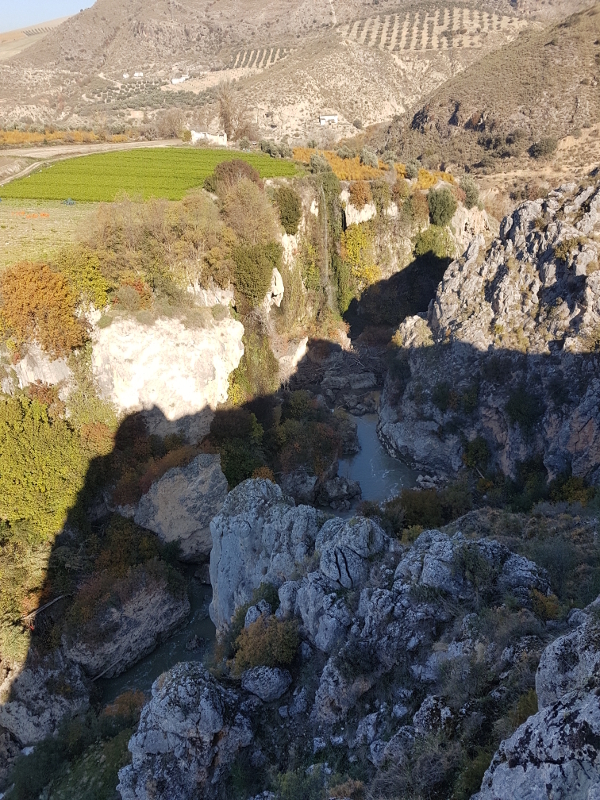 This weeks walk is along part of the Gran Senda del Guadalhorce from Villanueva del Trabuco to Fuente de los Canos. It is along mostly flat tracks which my be muddy due to recent rainfall. At the moment rain is forecast at 12 & 1 pm so we may get caught in a shower. It is dog friendly with no road walking apart from crossing a road for refreshments on the return journey. Meet at the bar next to the petrol station on the road into Villanueva del Trabuco at 10 am to drive to the start. Sorry we wont be doing a walk this week as I have a doctors appointment. At the moment the weather forecast for Wednesday is okay, thunderstorm at 5pm. If this changes we will cancel the walk. We will be starting the walk at Las Vinas on the A-7200 between Salinas and Archidona. The walk is dog friendly but there is road walking at start and finish at which time they will need to be on leads. It is undulating with one hill just after the start, the walk is circular starting and finishing at Las Vinas where we can get refreshments. Meet at Las Vinas at 10 am. Not sure of the distance as we have not done this version of the walk before but is should take about 2 hours. This weeks walk is SHORT and FLAT. 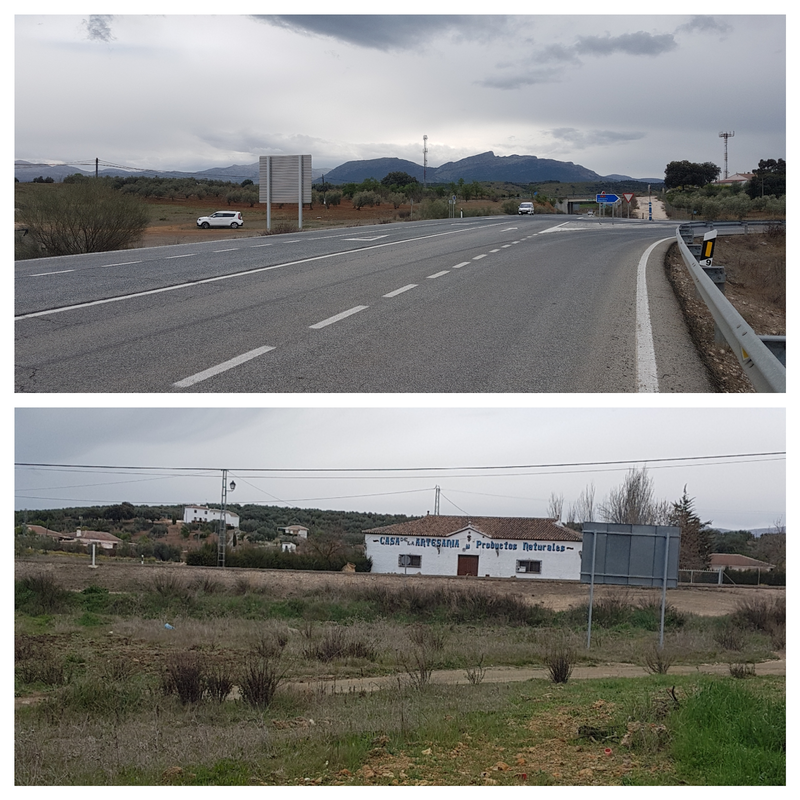 Starting from near Casa de la Artesania on the A-333 Salinas to Iznajar road along good tracks towards Carlos Astorga (wont be stopping for a coffee break as they now don't open until 12), continuing along the tracks back to the start. The walk is dog friendly with only a very small section of road walking at the end, where the dogs need to be on a lead. 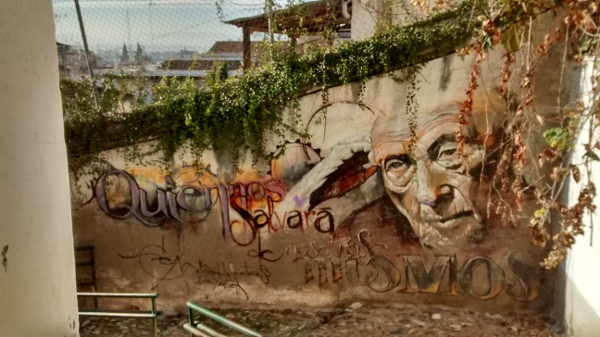 Meet on the waste ground next to Casa de la Artesania to start the walk at 10:30. 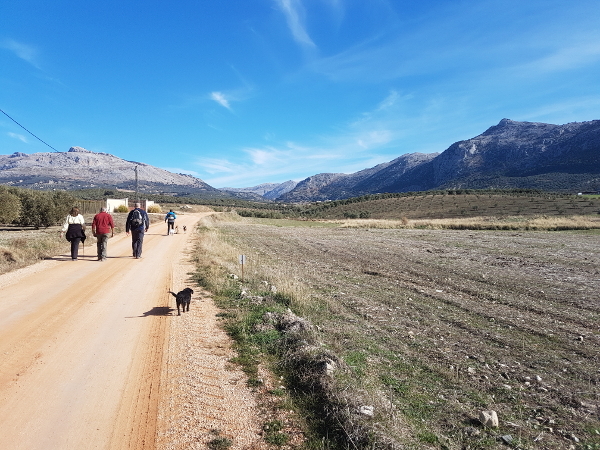 This week we are walking from Villanueva del Trabuco along undulating roads and tracks to Villanueva del Rosario. Where we will stop for coffee and return along the same route. Meet at the swimming pool in Trabuco to start the walk at 10:30. The walk should take about 3 hours and it is dog friendly but they must be on leads for the road sections. This is a circular walk around the base of El Hacho but not going up to the summit. The walk is on good tracks with some ups and downs but these can be done at a pace to suit everyone. This is a dog friendly walk but if there are any sheep or goats in the area they will need to be on a lead. Last walked by the walking group January 2017. Meet at 10.30 at Lidl supermarket car park in Loja to drive the short distance to the start of the walk. This weeks walk will be a version of an old favourite walk around Archidona. It is on road and good undulating tracks and is about 11 kilometres and should take about 2 hours 45 minutes. Meet at El Encuentro in Archidona for a 10:30 am start to the walk. 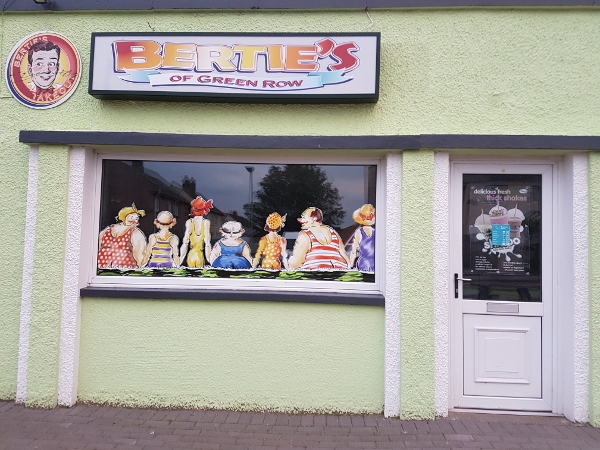 It is dog friendly but they will have to be on leads during the road sections. 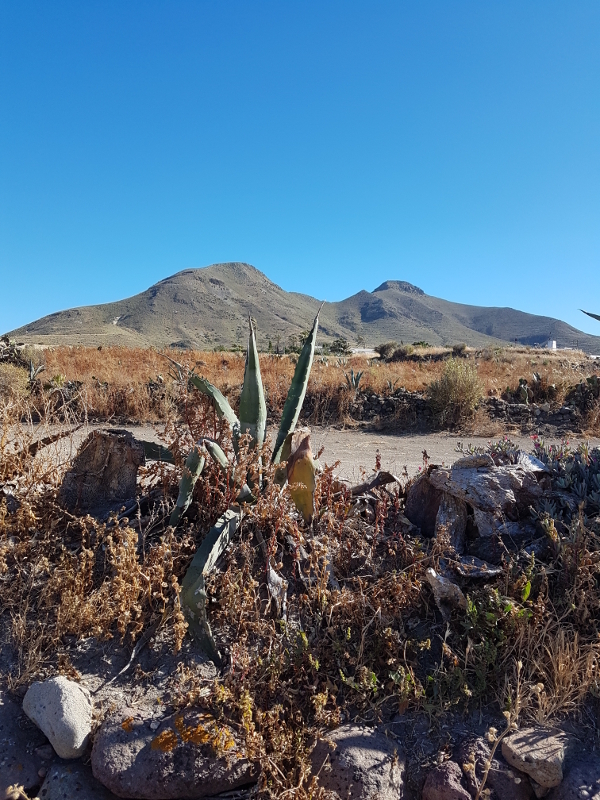 This week's walk will be on flat tracks from Cortijo de la Saucedilla to Hotel/Restaurante Rosario where will stop for refreshments and then walk back to the start along the same route. It is dog friendly and very easy. 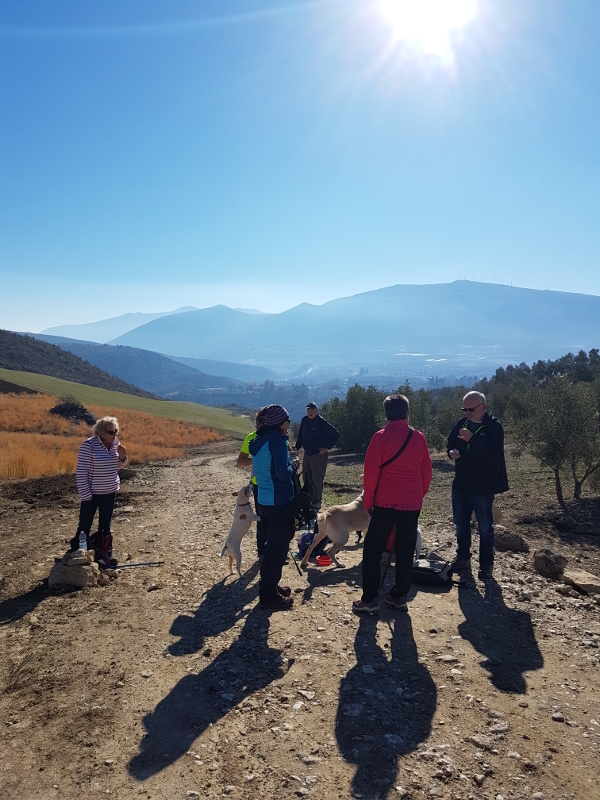 Meet near Cortijo de la Saucedilla to start the walk at 11 am. To get to the start take A92M and leave at junction 11 towards Archidona on the A-7202, just after the prison turn off the road at the first bend to park on the field next to the track. Saturday Walk 23rd February. 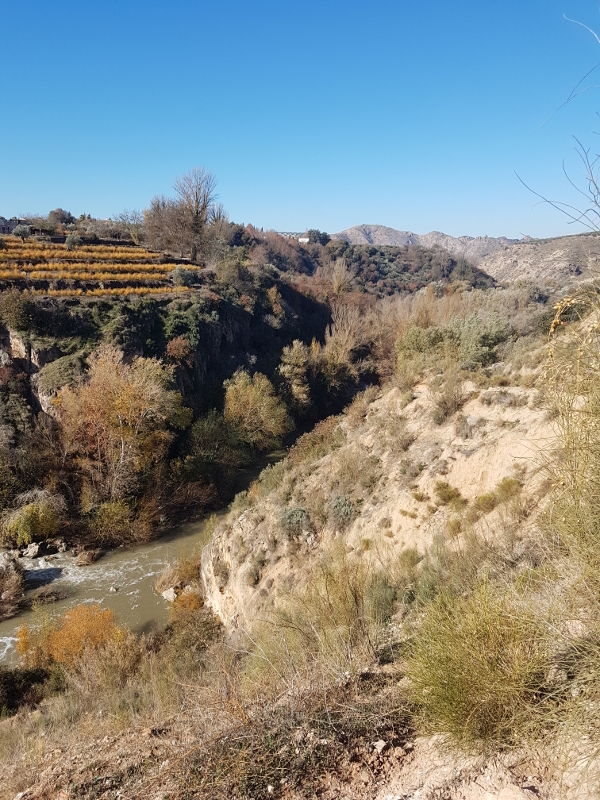 Rio Frio, Los Dos Nacimientos, a circular walk starting at the Casa del Pastel. 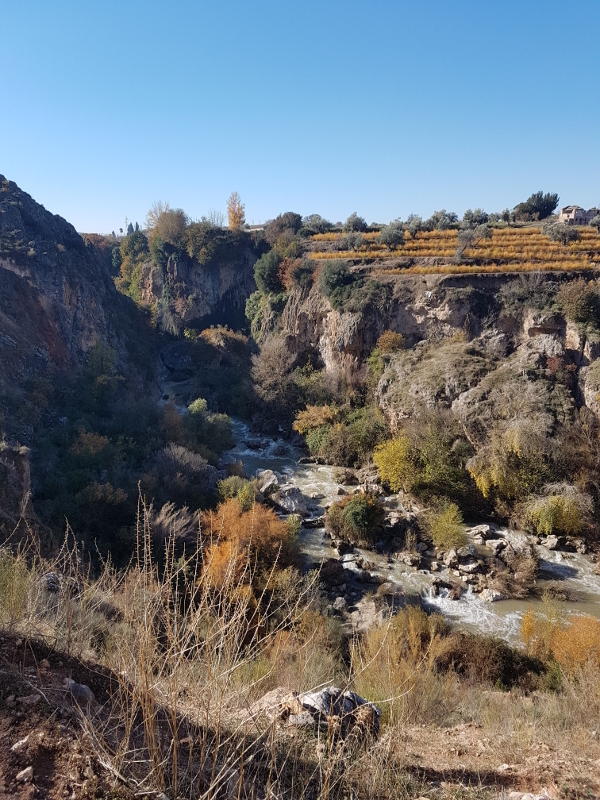 We will walk through the village before crossing the river and following a track through the olives before arriving at the Nacimiento at Atejea. 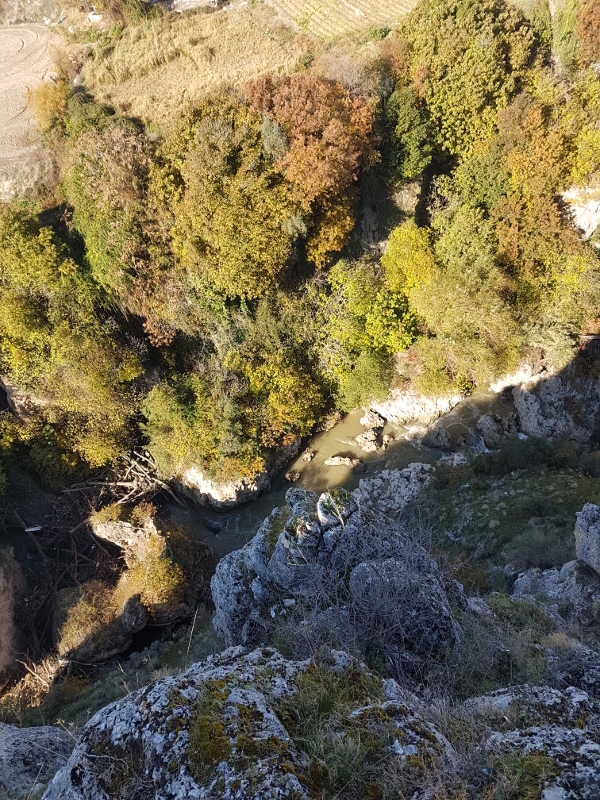 From here we continue to the Nacimiento at Rio Frio and the painted rocks. We will continue along the old mill race and then beside the river to return to the start. It is an undulating walk on good tracks with one steady incline just after Atajea. Meet at the Casa Del Pastel (panaderia/heladeria) next to bar Jimenez in Rio Frio, walk will start at 11:00. This week's walk will be on undulating tracks (2 small hills) around Villanueva del Trabuco. We will be following the GR 248 Gran Senda Del Guadalhorce for some of the route which is a new walk around Trabuco. It is dog friendly and we will be calling into a bar for refreshments about half way round. 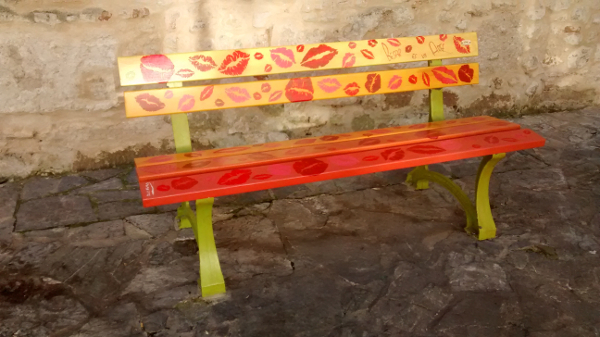 Meet at Venta Talillas, which is on Av Antonica Rosa in Trabuco, to start the walk at 10:30. Saturday walk 16th February, Tajo de la Villa Vieja, Fuentes de Cesna. 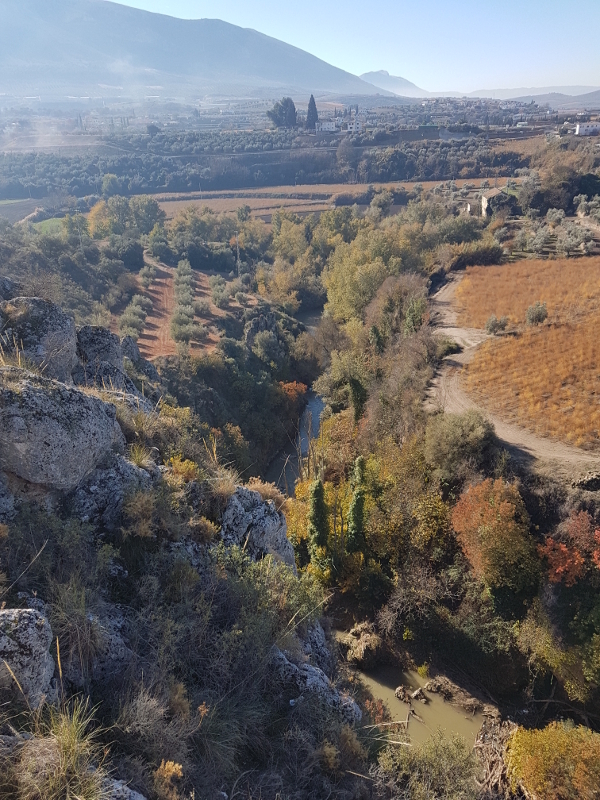 Starting from the old abandoned village of Fuentes de Cesna we walk down through olive groves and pass beneath the Tajo de la Villa Vieja. The track takes us up to the top of the Tajo and an archaeological site claimed to be one of the most important sites in Spain, reputed to be from the Copper Age, around 3000BC. 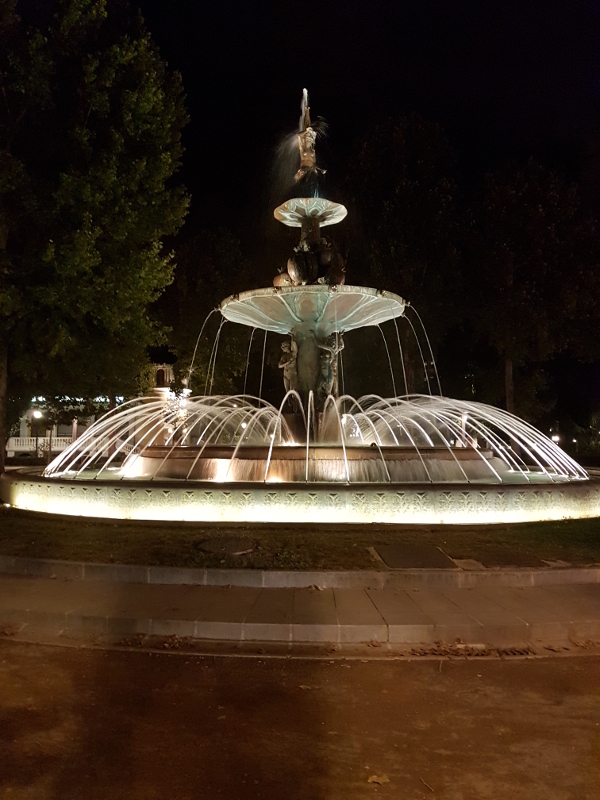 After leaving the Tajo we continue until we arrive at the relocated Fuente de Cesna. From here we will pass by the ruins and cave houses of the old abandoned village. The walk this Wednesday will be along the Arroyo Marin valley in Archidona. It is another flat easy walk along good tracks. This is a dog friendly walk. There are no refreshments on this walk but we will be stopping for coffee in Archidona at the end of the walk. Meet at bar El Encuentro in Archidona, which is on the A-7200 opposite a petrol station near the Dia supermarket at 10:30. We will pool cars to drive to the start of the walk. Looking at the forecast for March the weather is not good. So we won't be doing any walks for the next two weeks. We will keep an eye on the weather and if it improves we will start them up again. Sorry, I put the wrong date on the previous post. So here are the details again. This week the walk is an EASY one, not WELLENFORMIG Peter. It is on good tracks around Salinas lasting about 3 hours, with a stop off Carlos Astorga for refreshments. Meet at 10:30 at bar Mejias is Salinas. This is a dog-friendly walk with a little road walking at the start and finish, where dogs must be on leads. This week 24th January we are doing "Sendero de las emes 'a la cruz' " from Loja. The walk is the "Sendero de las emes 'a la cruz' " from Loja. The start is from the road near police station in Loja and is about 9k with only 4k being uphill rising 630 meters and should take about 3 hours. The track is good and is dog-friendly but there may be some sheep around at the top. You will need to bring your own refreshments as there is only a cross at the top. Meet at the Lidl car park in Loja at 10:30 to pool cars and drive to the start of the walk. This Wednesday 10th January will be our first walk of 2018. We are doing a walk around Archidona on good undulating tracks and it should take about 2.5 hours. Meet at El Encuentro in Archidona at 11 am. At the moment it does not forecast rain but if that changes I will cancel the walk. We share a lot of our photos from our travels and hikes on Instagram. Here are some notable photos from our adventures during 2017. Our adventure to Cadiz we stayed at El Puerto de Santa Maria and took the ferry across to Cadiz. There were some great things to see and some very nice sherry. When you get tired you can have a rest on this nice seat. 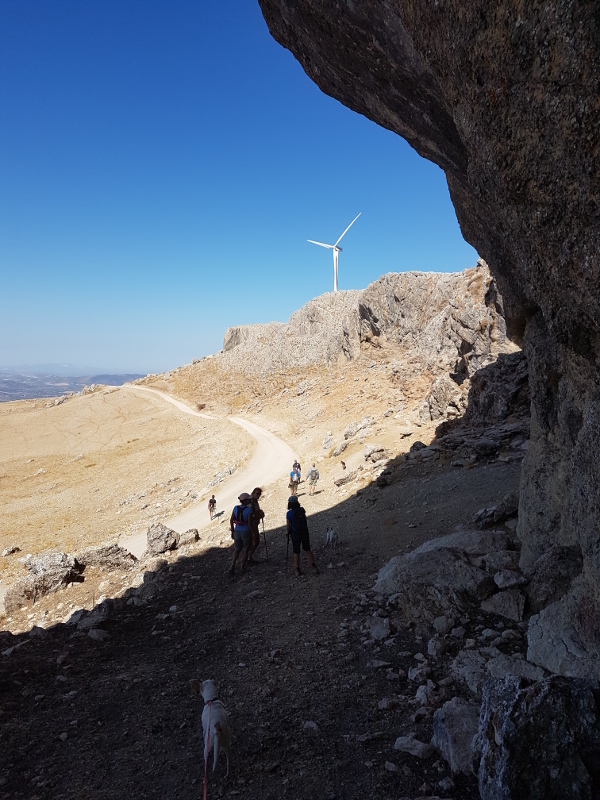 Hiking high above Loja in the Sierra de Loja we enjoyed the company of the giant wind turbines. 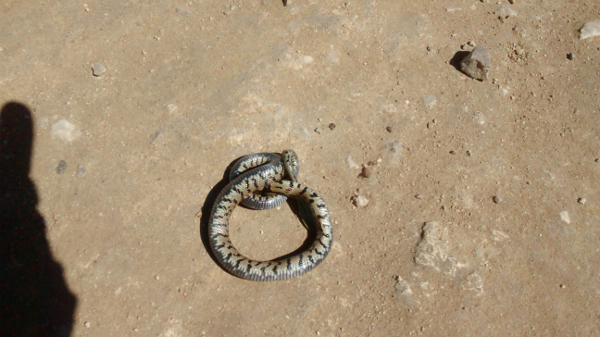 In April we came across this snake on a bike ride around Tarifa during our trip to the Costa de la Luz. In September we went on a road trip to Portugal and visited Adraga beach. In March we visited Sierra Nevada and had a fantastic time. 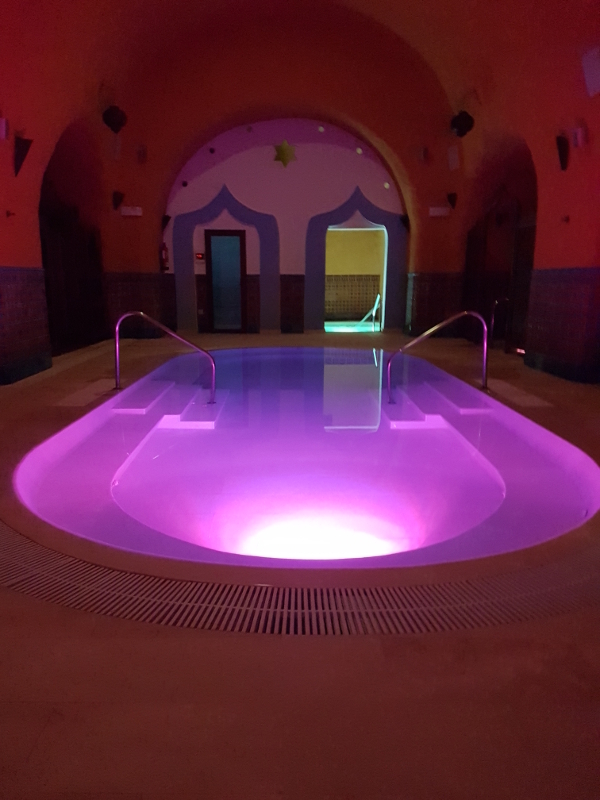 In November we visited Granada where had a very relaxed weekend. 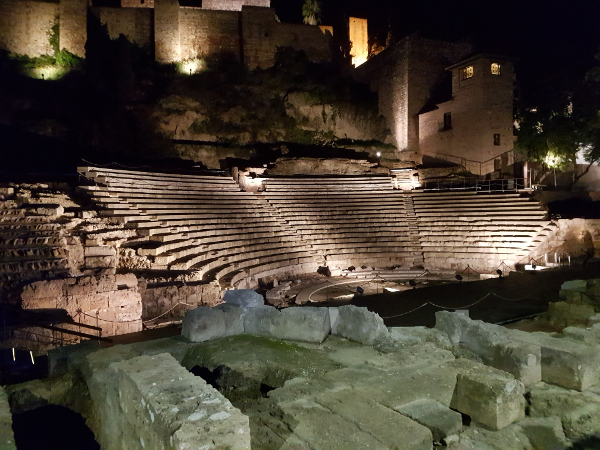 In December we made our annual trip to Malaga to see the Christmas lights and much much more. 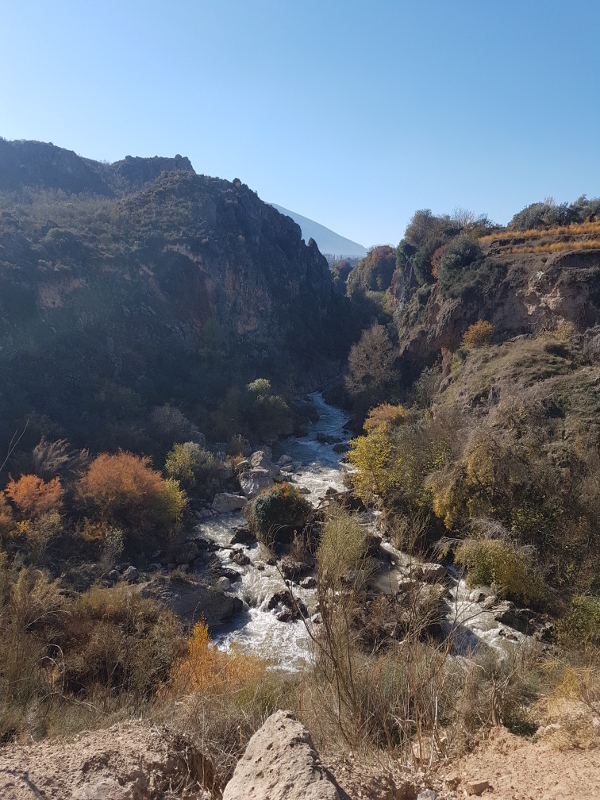 At the end of October, we went to Alhama de Granada, where we ascended the gorge and afterwards relaxed in the splendid Arab Baths at El Ventorro. In May we did a cycling tour of Cabo de Gata and had a great time. 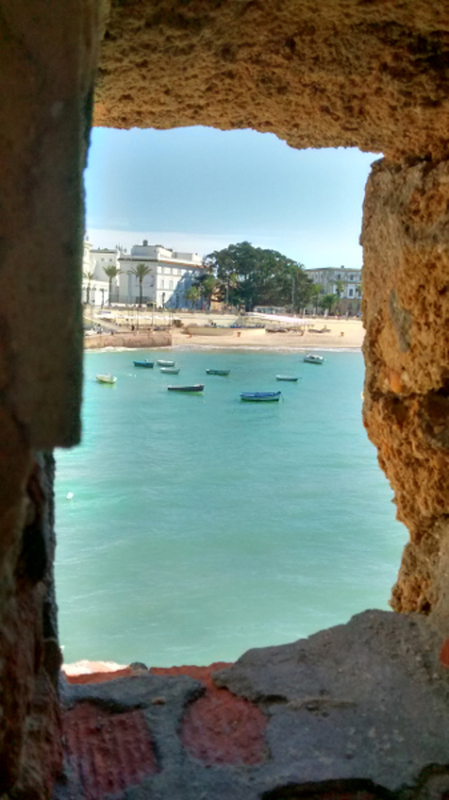 In September we did a day trip to Lisbon from our base in Sintra. 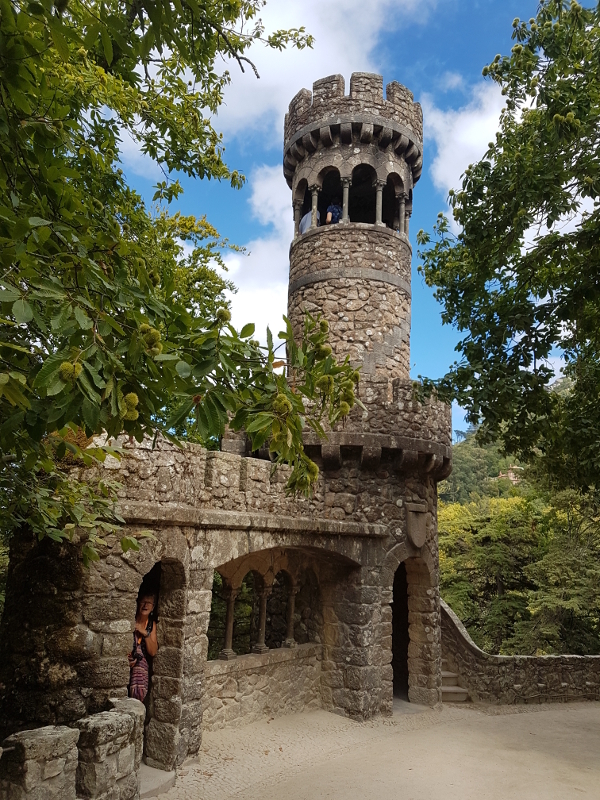 On our tour of Portugal in September we stayed at Sintra and visited one of the magnificent Palaces. In the middle of June, we embarked on a road trip in our Motorhome which lasted almost 8 weeks. During the trip, we visited a lot of places and met up with a lot of friends and family. The highlight of the trip was my daughter's wedding where we had a fantastic time. Meet in Lidl car park in Loja at 11am to drive to the start near the football ground. From here we will walk across the railway line onto good tracks calling in at the mirador overlooking Rio Genil then continuing along undulating tracks to an abandoned hamlet. Then retrace our steps back to Loja. No refreshments on the route but plenty of nice places for coffee after the hike. The hike is dog-friendly apart from the start and finish, where they must be on leads. Please let us know if you will be joining us. 12 kilometres about 2.5 hours. 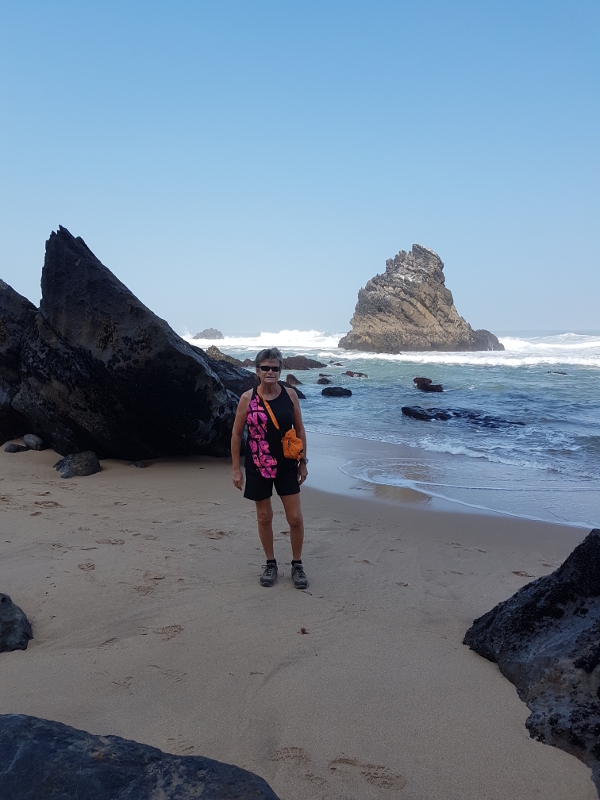 A 3-hour undulating hike from La Saucedilla along good tracks to Hotel Rosario where we stop for refreshments then return by a different route to the starting point. 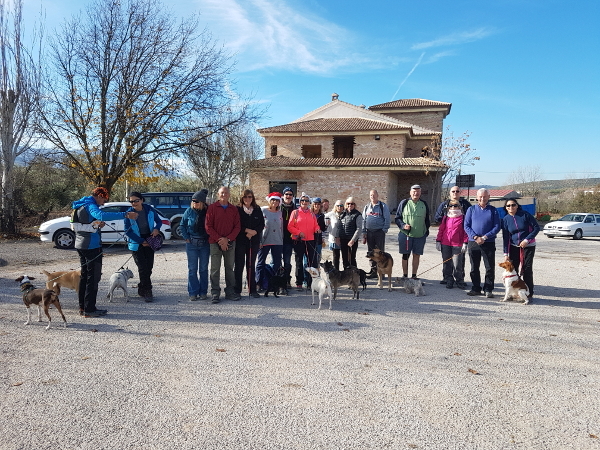 Dog-friendly walk, meet at La Saucedilla at 11 am. To get to La Saucedilla take the A92M motorway and leave at junction 11 and head towards Archidona. Please let us know if you will be joining us. 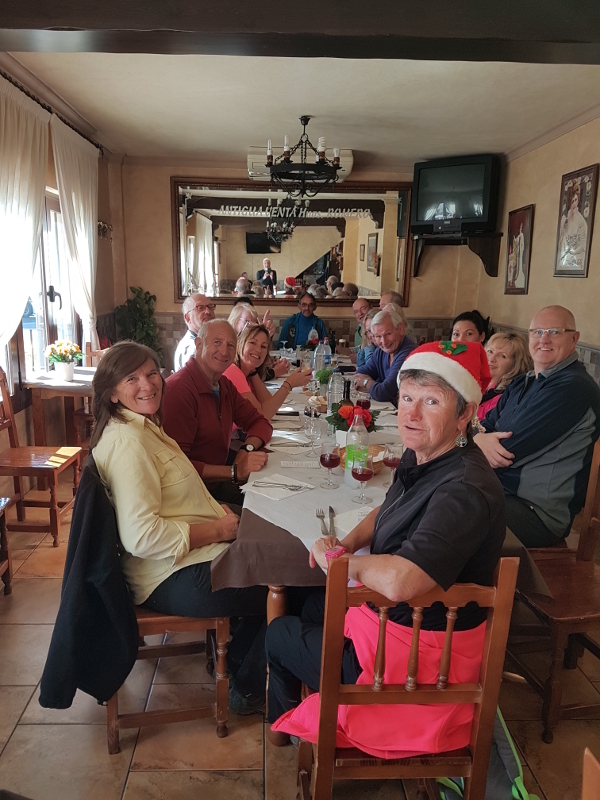 This year we are having our Christmas Dinner hike around Villanueva del Trabuco. Starting and finishing at Antigua Venta El Cortijuelo - Hnos. Romero meet at 11:30 am for a 2-hour hike followed by menu del dia at Romero's. The hike is short with only two hills so you should not be too tired to eat your meal. Please let us know if you will be joining us for the hike and meal so that we can make arrangements for seating. We had 19 people and 7 dogs on this hike. This week we are doing a brand new walk. Starting at Pulgarin Bajo along undulating tracks to Guaro where we can have refreshments and then retrace our steps back to Pulgarin. The route is about 12.5 k and should take between 2.5 to 3 hours. Meet at 10 am at bar/restaurant El Cruce in Villanueva del Trabuco to share cars and drive to the start. Please let us know if you will be joining us so that we are not waiting at El Cruce.